James Park Homes is a family owned business with many years’ experience in the Park Home and Leisure industry. We have three estates; in Lincolnshire, Nottinghamshire and Cumbria. 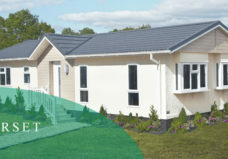 We offer you the chance to purchase a park home designed to your exact specification. 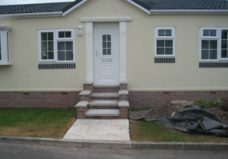 We deal with all major park home manufacturers and we are happy to assist you in choosing a home that suits your needs. From the colour of the roof tiles to the design of the kitchen and the colour of the carpet this really is an opportunity to live your dream! 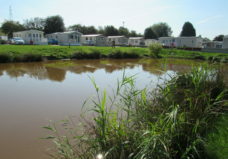 We are members of the British Holiday & Home Parks Association, Gold Shield Ten Year Warranty Scheme, and all new homes supplied by us are built to BS3632 standard and are approved by the National Caravan Council. Take a look at what our past and present residents have had to say about their experience with James Park Homes and one of our varied location sites. Our residents are proud to be associated with James Park Homes and love to share their experiences. 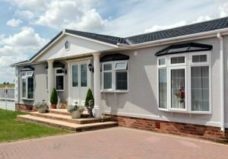 Park home living offers an affordable, secure and tranquil environment with friendly neighbours and beautiful surroundings. Releasing your capital by selling your bricks and mortar property gives you a unique chance to live your dream! 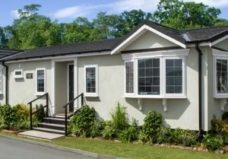 Modern park homes look just like traditional detached bungalows and are spaciously designed, built to the highest specification and sited on an individual plot. Homes are delivered fully furnished with a choice of fixtures, fittings, colours, carpets and curtains ready for you to move in and enjoy the park home lifestyle. Our residential parks have a great feeling of space and individuality. Each home comes with its own driveway — and most new homes include a detached garage. 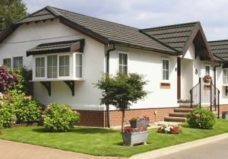 Residents take a huge pride in their gardens with beautifully kept lawns and low maintenance gravelled gardens with shrubs and pots bursting with flowers throughout the year. Visiting our parks, you will get a real sense of neighbourliness. The James Family has a welcoming bond with residents – with everyone on first name terms, and always available to sort out any problems quickly and efficiently. Plot 16 30×20 Harpswell Hill Park. 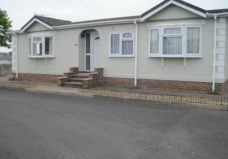 We are very pleased with our mobile home and we are on a great site with fantastic views over the fells and only a short drive from the centre of the lake district. I love my mobile home on tall trees. Why? Well it’s because it’s quiet, the people are friendly and you feel like you’re living out in the countryside. The site is kept at the highest standard and I’ve never lived anywhere before that has been so neighbourly and has such a great community spirit. Friendly atmosphere, slower pace of life and plenty of fresh air. I owned a holiday home here for one year and have no regrets. People who had homes on the site kindly allowed us to view some of them. Returning for more advice, we then decided on buying a static home. Life on the park is quiet yet neighbourly; the manageress is always there to help with any problem, large or small. It is a small park very conveniently situated for all local amenities, something we needed to think about when we moved, but it was definitely the best thing we did. We were a bit apprehensive about moving into a park home at first, but we absolutely love it now. We have four beautiful parks that are located in three different counties – Nottinghamshire, Lincolnshire and Cumbria. 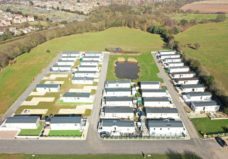 Our residential and leisure parks have a relaxing and peaceful atmosphere, and are situated near local amenities and various different methods of transport. Take a look at the parks James Park Homes has to offer, to see where you could be making your dream move!